We specialize in Plano lawn care, and although lawn care may not seem like rocket science, it’s definitely grueling work! Let our lawn care professionals take over your tedious and backbreaking lawn care chores. You deserve to spend your time enjoying your lawn. Our comprehensive lawn care service in Plano will allow you to enjoy your weekends again! Your home’s curb appeal can be gorgeous with the lawn care and lawn mowing services we provide. Forget the idea of making time to mow your lawn on your own. Throughout the summer months, lawn mowing isn’t only not fun, it can be dangerous in the heat of the day. When the winter months roll around, it’s not uncommon for temperatures to be in the 30s or below, which makes performing lawn and outdoor chores less than pleasant. Imagine not having to prepare and make time to care for your Plano lawn all alone. All of these temperature changes can wreak havoc on you and your lawn. At Thompson Landscape, we have the lawn care services to help you obtain a great looking lawn. Lawn care is important in any home, but especially in the acclaimed city of Plano, TX. That’s why we extend customizable lawn care options, from full service lawn maintenance to individual lawn care services that fit your current needs, such as our weekly or bi-weekly lawn mowing services. If you’ve ever performed your own lawn care, you already know it can be a time consuming process. You may not have the time to dedicate yourself to lawn mowing, applying fertilization or weed control treatments, or trimming your shrubs. Attention to tasks such as these are usually needed to keep your lawn the envy of your neighbors. Some of our clients take advantage of our service because they don’t have the time to care for their lawn on their own, some use our service because they don’t have the necessary knowledge to care for their lawn, yet some just hate getting outdoors when the temperatures are blazing over 100 degrees. Regardless of your reason or need, we provide the same outstanding lawn care services to each and every one of our client’s Plano lawn. Most everyone wants a clean-cut and meticulously manicured lawn, but some wait until it’s too late. If you procrastinate in caring for your Plano lawn for too long, it could take months to get it back in the shape that it needs to survive the brutally hot summer months. Think about it – if your lawn hasn’t been mowed in weeks and weeds are growing rampant, it makes it difficult for anyone to put their best foot forward in finding a Plano TX lawn service. That’s why we offer lawn care in Plano, and that’s why we believe we take lawn care to the next level. If you want the exterior of your Plano home to be beautiful, you should hire a professional lawn care team. Lawn mowing in Plano is one of our specialties, but we take pride in all the services we offer as a part of our full service lawn care. 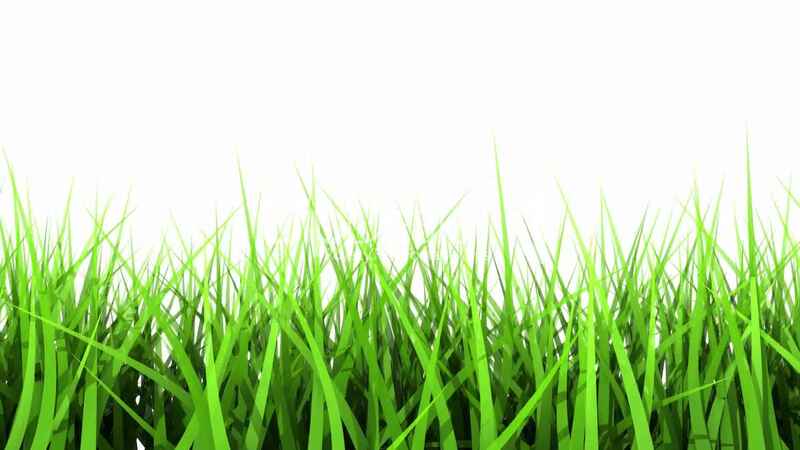 Regardless of the type of grass you have, we can provide the appropriate lawn care and attention so that it is healthy and green. Our Plano lawn maintenance always takes the time to adjust our blades as necessary to avoid mowing Plano lawns too short during summer lawn services. Lawn maintenance in Plano may seem like a daunting and difficult task, but we have been providing lawn care services for so long, we think lawn care is simple. We are experts in lawn maintenance so you don’t have to be. Our Plano lawn mowing crews have been working with us for 20 years, and they have been caring and nurturing all of our Plano lawn care clients. We know that if we love providing a service, you will love the result. That is the motto of our Plano lawn care team. Many Plano lawn care companies offer mowing without thinking about how important lawn service results are to a consumer seeking a lawn care provider. Performing lawn services with incorrect technique can cause damage to a lawn or property. For example, too infrequent mowing services can cause the lawn to become long and unruly. As a result, weeds can develop and the next lawn mowing service can be uneven and clumpy. We like to provide a healthy balance of lawn mowing for your home so that your lawn looks great all the time. If you want the fuller, greenest, and healthiest lawn on the block, a lawn mowing service alone will probably leave you unsatisfied. To ensure that your Plano lawn will look gorgeous from every angle, inquire about our highly reviewed lawn fertilization and weed control program. You let us know what you want, and we will do everything we can to make that happen. We’re dedicated to the Plano lawn maintenance and making your lawn look the best that it can look all year long. It will be one that will make you proud, all because you took advantage of our Plano, TX lawn care service professionals. Our Plano lawn service is comprehensive to give you the lush, green grass that you want all year round with Plano TX mowing. We handle all levels of lawn maintenance in Plano. We can take care of one or all of the fertilizing and weed control, mowing, bed weeding, shrub trimming – you name it. We understand that it can be time consuming to get out and do the lawn care on your own. Even if you have the time for caring for your Plano lawn service or lawn mowing, you may not have the experience, the tools, or know how to select the right products. At Thompson Landscape, we have been providing our incredible lawn service for years. We wouldn’t still be in business if we didn’t know the best lawn care approach and technique to get your lawn looking its very best. Lawn mowing service companies are common, but some charge prices that will break the average joe’s budget. If we could give one piece of advice to consumers, it would be to not overpay for lawn care services. It doesn’t matter what the service is in the realm of lawn care, it can be very affordable. With that said, the results of lawn care services can vary from company to company. This is also true for Plano lawn care companies. If you fail to find the right Plano lawn maintenance company, you could end up with a yard that is scalped because of improper technique or timing. It’s possible to kill your lawn by mowing it too short for an entire summer. We have seen it happen time and time again – don’t fall to a poor lawn care company with practices such as this. The length provides the root system a barrier from the summer heat, as well as helps the root system retain moisture. Rest assured, our Plano lawn care and lawn mowing crews have the expertise to handle your lawn. We want your lawn to look beautiful and we are certain that our Plano lawn service and landscape maintenance crews can make that happen. Your home in Plano is gorgeous and now it’s time to pay attention to the curb appeal with lawn care services such as our lawn mowing and lawn fertilization. Lawn care in Plano, TX can be one of the best investments you make for your home. If you are one that can get caught up in day dreams, just imagine – we will come in and take care of all lawn care maintenance needs without you breaking a sweat! As a result, you get to spend your valuable time doing things you enjoy and find fun. Just think of yourself working on a hobby while looking out the window at your beautiful manicured lawn, or alternatively, spending time playing in your maintained lawn with the kids. Speaking of kids, a Plano lawn service should also be safe for your kids and pets to play without the danger of harmful chemicals or fire ant mounds. Our lawn care service encompasses fire ant control, leaf removal, Plano mowing, and more. And remember, our Plano, TX lawn mowing service keeps your lawn healthy and looking great from the root to tip. Our lawn care teams in Plano, TX are just what you need to have confidence when you open the door to let the kids play. Outside the scope of your lawn, we also offer services to maintain your landscaped areas, such as shrubs and beds lining the exterior of your Plano home. There’s no reason to hire two separate Plano lawn service companies to take care of all the lawn maintenance. Our lawn care in Plano can be al a carte or comprehensive. It’s completely up to you! Once you hire us to maintain your lawn services, you can rely on us for all else that needs to be done as well. Simply ask us about any service and we will be happy to discuss them with you. Our lawn maintenance service is well known and our prices are competitive for all of our lawn care services in Plano, TX. We have been providing Plano mowing services throughout the entire area for years, including up through the outskirts of Dallas. Don’t let just any Plano lawn service company for cutting your grass or maintain your lawn. Do your research first! We will do the mowing and lawn service with our state of the art equipment and our friendly staff will always take the time to address any concerns you bring to their attention. You will love the benefits of having our Plano lawn care service. We know your love for your lawn to look beautiful for the weekend. We take pride and joy in making that happen! Is lawn mowing becoming tiresome and time-consuming? We know your time is valuable. Our lawn care team has the perfect solution! Our lawn mowing service is always reliable, recurring on the same day every week. With our worry-free billing and automatic payment, you can trust us to bring the best to your home’s exterior without unnecessary hassle. Our service always brings our clients beautiful results while maintaining professional and reliable customer service. We do the dirty work so you do not have to! Thompson Landscape has more to offer than your ordinary lawn care company. It is simple. We are simply the best! We can tailor our lawn care service to align with your lawn care needs! We encourage weekly lawn mowing during the peak of the growing season. We consider the peak of the growing season to be between the months of March and October. We automatically switch all of our weekly lawn mowing services to every other week the last week of October. We offer every other week mowing service, however, we encourage all of our clients to have weekly mowing service. Weekly lawn mowing will always keep your lawn well manicured and healthy. Thompson Landscape has more to offer than your ordinary lawn care company. It is simple. We are simply the best! We can tailor our lawn care service to align with your lawn care needs! When you’re looking for a lawn care service in Plano, TX, there is no greater lawn maintenance company to call than Thompson Landscape. We’re happy to come out and provide you with a quote for lawn maintenance, talk about the full level of lawn care, and get you on the schedule for any recurring services you wish. It’s the easiest way to get lawn care service in North Texas. Now it’s time to get rid of the lawn mower and edger in exchange for our lawn care and lawn mowing services for your Plano home. You won’t need tools for anymore because we will take care of it all for you. If you wish, you may be able to sell the equipment on craigslist for a few extra bucks! Our professional Plano lawn maintenance team can do it all. It’s Plano lawn care done right. Call for your quote for our Plano, TX based lawn service today! Call us or request online for an instant, no-obligation estimate for lawn mowing services. You can also get a quote on our home page. If you have any questions about our service, please don’t hesitate to give us a call at 972-424-5726! Our Plano lawn care page now has a new feature allowing you to get instant lawn care and lawn mowing service pricing for your property. It’s so simple, you can sign up and schedule Plano lawn mowing services in less than sixty seconds. We’ve listened to our Plano, TX customers and have brought innovation to those of you seeking lawn care for your Plano lawn and landscape. What are you waiting for? Click the instant quote button at the top of the page and give us your feedback! 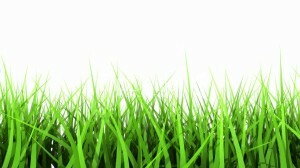 We now have a new feature allowing you to get instant lawn care pricing for your property. It’s so easy, you can sign up and schedule lawn mowing services in less than sixty seconds. We’ve listened to our customers and have brought innovation to lawn care. What are you waiting for? Click the instant quote button at the top of the page. Give it a try and give us your feedback!